Kampala City Uganda, 1 Day Kampala city Tour, Kampala Tour, Kampala City Day Tour trip. Discover Kampala city, the capital & biggest city in Uganda as well as the administrative center of the central region with great history and diverse cultures. Kampala is the capital city and largest urban center of Uganda. The city is the administrative center of the central region and is wholly en-circled by Wakiso district. It lies on a total area of about 200Km² and is subdivided into 5 administrative regions. The divisions include Kawempe, Rubaga, Makindye, Central and Nakawa. All the names for the divisions are derived from their main administrative towns.Kampala’s has an estimated total populationof over 1 million people living in the five divisions.History of Kampala’s existence however dates back as early as 1891, when the Kabaka (king) of Buganda had his executive center on two hills of Rubaga and Mengo. In 1890, Captain Fredrick Lord Lugard, a British explorer and Military person, arrived in Buganda Kingdom. He was sent to Uganda by the British East Africa Company on grounds of securing British predominance and putting a Stop on the civil wars within the Buganda Kingdom. He was made the Military administrator of Uganda and set up a camp on one of the Hills near the Kabaka’s executive areas of Rubaga and Mengo. The Valley which was between the hills where the Kabaka had his Executive area and that where Lugard set up his camp was known as the ‘Kasozike’mpala’. The word ‘Kasozi’ means hill, ‘ke’ means of; ‘mpala’ was got from Impala, a type of Antelope. Lugard, while referring to the hill where his camp was set up, he called it Hill of Impala. The Baganda however couldn’t pronounce the words properly, coming up with the words ‘Kasozikempala’. The hills and their valley’s became popular all over the Kingdom territories and with time, traders erected shops at the base of the hill. In 1900, when other British administrators settled in the Kingdom, it was decided that the colonial offices be moved to Nakasero hill, because the area around the ‘kasozikempala’ had become too small for administrative rule due to the increasing population in the area. The shops and other commercial premises increased in the area when the colonial offices were moved to Nakasero hill. This saw the beginning of the expansion of Kampala as a town. By the time Uganda gained its Independence on the 9th October 1962, Kampala had spread further to the hills of Lubaga, Old Kampala, Namirembe, Kololo, Makerere, Mulago and Kibuli. It was declared the Capital city of the Republic of Uganda on the day of Independence and served as the central administrative city of the Country. The city has continued to grow and currently covers over 23 hills, spanning at a total area of about 200Km². Being the most urbanized city in Uganda, the Cost of living in Kampala is high compared to other districts. The district is supplied with food stuffs by other districts, since it barely involves it’s self in Agricultural activities. 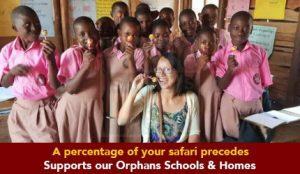 It lies in the eastern part of Kampala and has a total population percentage of 18.90%. Nakawa division is made up of towns such as Nakawa, Bukoto, Bugolobi, Kyambogo, Naguru, Ntinda, Luzira, Kiwaatule, Mbuya, Mutungo, Kiswa and others.Nakawa division is bordered by Wakiso district to the north; Kawempe division to the Northwest, Central division to the west and Makindye Division to the southwest. It lies in the Northwest part of Kampala and has a total population percentage of 17.90%. Kawempe division is composed of towns such as Kawempe, Kanyanya, Kazo, Komamboga, Makerere, Mulago, Wandegeya, Mpererw, Kisaasi and others. Kawempe division is bordered by Wakiso district to the west and east; Nakawa to the southeast, Central to the south and Lubaga to the southwest. The division lies in the western part of Kampala and has a total population percentage of 26.30%. It is composed of towns such as Mengo, Lubaga, Kasubi, Namirembe, Namungoona, Mutundwe, Namirembe, Kawaala, Nateete, Ndebba, Busega, Lungujja and others. Lubaga division is bordered by Wakiso district to the west and south; central division to the east and Kawempe to the North. The division is situated in the center of Kampala and has a total population percentage of 23.50%. The central division has towns such as Nakasero, Kololo, Old Kampala, Kampala central business center; and surburbs such as Kamwokya, Kisenyi and the industrial area. The administrative division is the most urbanized center among all areas in Uganda, with a lot of upscale businesses which create a huge number employment opportunities. It lies in the southwest part of Kampala and has a total population percentage of 23.50%. Makindye division comprises of towns such as Luwafu, Konge, Kibuye, Kisugu, Lukuli, Kabalagala, Makindye, Muyenga, Katwe, Lukuli, Salaama, Nsambya, Ggaba, Kibuli, Munyonyo, Buziga and others. The division is bordered by Wakiso district to the west and south; Nakawa division to the northeast and Central division to the northwest. 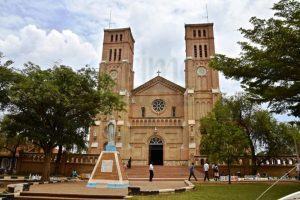 It is the main and oldest cathedral for the Catholic religion in Uganda. Originally, the cathedral was known as Saint Mary’s Cathedral. It was first built in 1914 by the White Fathers from the French Catholic missionary society and was completed in 1925. The land where the cathedral is built was donated by the Kabaka of Buganda in 1889, Kabaka Mwanga II. 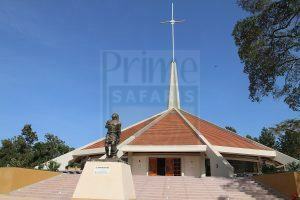 The cathedral is located on Lubaga hill which has an elevation of about 4000ft. The word Lubaga is derived from a luganda word ‘okubaga’ which means planning. The hill served as a central administrative ground for Buganda Kingdom when two of the Kabaka’sdecided to have their palaces built there. The Kabaka’s who had their palaces at the hill include, NdawulaNsobya(19th Kabaka of Buganda) in the 18th century; and Kabaka Mutesa I from 1856 to 1884. 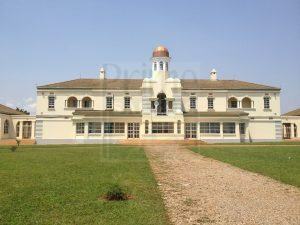 However, during Mutesa’s reign, his palace was burnt by lightning and he decided to move to Mengo hill. Lubaga hill was used to plan military expeditions by the Buganda generals. Currently, the hill is known as Rubaga though originally it is Lubaga. This is due to the mixture of tribes that settled in the area due to urbanization of Kampala. The Baganda do not have words that start with the letter ‘r’. 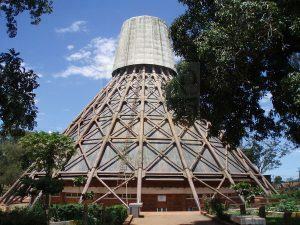 It is the National Anglican cathedral of Uganda located on Namirembe hill,2km from the city Centre in Kampala. The cathedral was first built in 1890 and later completed in 1919. It has the remains of one of the Uganda Martyr’s, Bishop Hannington, who was murdered by Kabaka Mwanga in October 1885 for approaching Buganda using the backdoor. Mwanga believed that anyone who used the backdoor as an entry to Buganda was a rival. The hill has an elevation of 4130ft overlooking the city center of Kampala. The Kabaka’s palace is located on Mengo hill which has an elevation of about 4,000ft.Mengo is derived from a Luganda word meaning grinding stone. It is believed that the Baganda who lived in the area in the early days used stones to grind their food such as millet, maize corn and others.The palace was built in 1922 and named Lubiri. Within the palace lies the official Kabaka’s residence locally known as Twekobe. The word Twekobe is derived from a Luganda word meaning uniting together for a common cause. It is at the palace that the 1900 Buganda agreement was signed between Buganda Kingdom and the British, declaring Buganda Kingdom a British protectorate. However, the palace has a dark and miserable history in 1966 which is attached to the rule of Milton Obote as the President of Uganda. When Uganda got its Independence in 1962, the Kabaka of Buganda Mutesa II was declared president by the British administrators. Mutesa II belonged to Kabaka Yeeka (KY) political party which was later merged with Uganda People’s Congress (UPC) belonging to Obote. However, due to political reasons, Obote went further to ask members of the Democratic Party led by BenedictoKiwanuka to join the KY and UPC merge. Obote went as far as Bunyoro Kingdom to ask the Omukama of Bunyoro to grant the recruitment of new members into the merged political parties. Mutesa II opposed the referendum and sent Baganda soldiers to dis-organize the talks. Obote decided to abolish Kingdoms in Uganda and introduced central power, along with a new constitution that abolished the Kingdom’s Federal system. The Baganda protested, forcing the Kabaka to order the eviction of Obotefrom Buganda Kingdom territory. He also appealed to the United Nations Secretary General, U Thant. Obote accused Mutesa II of treason and sent his troops, led by Idi Amin, with orders to capture Kabaka Mutesa II, dead or alive.There was a heavy gun fire between the Kabaka’s subjects and Obote’s troops.However, the kabaka managed to flee out of the palace during a heavy rain downfall that had slowed down Obote’s troops. The palace was then captured by Obote’s troops and turned into a military ground.On the 25th January 1971, Aminbecame President of Uganda through a coup d’état over Obote. Milton Obote had was away on international duty at the commonwealth conference in Singapore, when Amin planned a coup d’état. Due to tension and high suspicion of the existence of Obote’s rebels in the country, an Arsenal was built at the palace under the order of Amin. The arsenal was later turned into a torture Chamber. Anyone that opposed or was suspected to oppose Amin’s rule was taken to the chambers and tortured to death. The chambers had 6 rooms, each containing about 500 people. Most of them died from starvation and others died from electric shocking. Below the prison cells, there was water that was electrified with electric wires. Due to past events that occurred in the palace, the current Kabaka, MuwendaMutebi does not stay in the Twekobe. The mosque is located on the oldest residential hill in the capital Kampala. The hill has an elevation of about 1,219m altitude and is now both a residential and commercial area. During the period towards Uganda’s independence, the area was mainly occupied by Indians who had dominated the entire economy, owning most of the businesses in Kampala. However, when Idi Amin became president in 1971 after a coup d’état on Obote, he evicted all Indians out of Uganda the following year in 1972. His reason for their eviction was that he wanted Uganda to be an ordinary master of her own. On the 25th August 1972, Amin gave a public notice to all Indians to leave Uganda within 90 days. Upon their eviction, Amin gave outbusinesses that had belonged to the Indians to the locals of Uganda. The mosque is named after the former president of Libya, Muammar Gadafi. The late Libyan President commissioned its constructionas a gift to the Uganda, the Muslim society in particular. Construction of the mosque was completed in 2006and was officially opened in June 2007. Upon its completion, it was named Old Kampala Mosque after the hill where it is lies. However, following the death of Muammar Gaddafi on the 20 October 2011, the mosque was renamed after him to commemorate his life.Later in 2013, it was declared as the National Mosque of Uganda by the Uganda Muslim council. The Gaddafi mosque lies on an area of 12 acres and has 5 domes, hosting a total of about 16,100 people. The Minaret is the most outstanding feature on the mosque, being able to be seen from miles away. It is erected 50.5 meters high enablingone to view the whole of Kampala city at the top of the minaret. 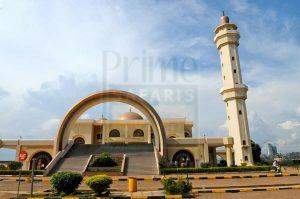 The mosque is situated on Kibuli hill, about 2Km southeast of Kampala city center. Kibuli is bordered by Kololo to the north, Mbuya and Nakawato the northeast, Kabalagala to the south and Nsambya to the southwest. The hill has an elevation thatrises up to 3973ft above sea level. It is both a residential and commercial area that is dominated by Muslims. Prince BadruKakungulu, a Buganda royal who owned most of the land in Kibuli, offered a portion to the Muslims in the 1930’s on which they would build a mosque. This followed with the laying of a foundation stone in 1936. The mosque has a magnificent view overseeing the city center of Kampala. The Munyonyo religious shrine is a religious site located in Munyonyo. However, it is attached to the Namugongo Marty’s shrine in Namugongo, Kira Municipality, Wakiso district; which is the main of the two religious shrines. The shrines are attached to the arrival of missionaries in Uganda, on grounds of spreading Christianity among the people of Buganda and Uganda at large. Missionaries in Buganda were extremely welcomed by Kabaka Mutesa I. However, upon his death, he was succeeded by his son Mwanga II. Kabaka Mwanga was a homosexual and he wanted his subjects to turn to the practice as well. This act of homosexuality was rejected by his subordinates who were already Christian converts.Mwanga felt offended by his subordinate’s act of refusing to follow his orders. He then ordered the execution of 3 Baganda Christians who includedYusufuRugarama,MakoKakumba and NuwaSerwanga. The 3 became the first Uganda martyrs and were executed at Busega Natete on the 31st January 1885.Later in October 1885, an Anglican Bishop, James Hannington, was murdered on his way back to Buganda through Busoga. Mwanga’s traditional healer had convinced him that anyone who approached Buganda from the backdoor had evil intention towards Buganda Kingdom. Mwanga then ordered his soldiers to murder anyone who approached Buganda from the backdoor. Busoga was at the ‘backdoor’ of Buganda; and when Bishop Hannington decided to take a shorter route from the south of Lake Victoria through Busoga, he was murdered. A senior adviser to Mwanga, Joseph Mukasa Balikuddembe (catholic convert) criticized Mwanga for the murder of the Bishop. Mwanga declared execution of Balikuddembe by be-heading for questioning his actions. Balikudembe was murdered on the 15 November 1885 at Nakivubo. Between the period of December 1885 and May 1886, many other converts were murdered at the order of Mwanga. All the martyrs have from the years been remembered in Uganda with a National day Celebration annually on the 3rd June.